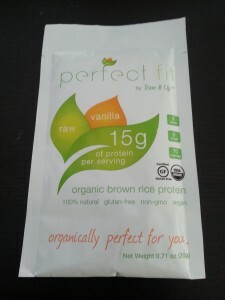 Review: Perfect Fit Organic Protein Powder – Is It Vegan? I’ve never been a gym rat. I’ve averaged 3 days a week at the gym for the last 15 years, but I wouldn’t call myself a gym rat. In the early years, I tried my best to become Mr Buff. I was definitely a post workout protein shake guy. In those years, I went through many good and bad protein powders in my shakes. You know how it goes. Some powders blend right in, others clump up. Some taste great, some taste terrible, some taste like nothing. These days, I drink very few protein shakes. It’s out of my regular routine. So I was pretty excited to get a package from Tone It Up with their Perfect Fit brown rice protein powder. Mix up the routine, you know? On paper, this Perfect Fit protein powder is everything I would want in a protein powder. It’s raw. It’s organic. It’s easy to digest brown rice. It’s gluten free. It’s only 70 calories per 20g package. Seriously, that’s perfect, right? Perfect on paper. They happened to send me the vanilla flavor. I’m fine with that, I don’t mind a little sweet flavor. But after mixing it with my smoothie today (chocolate almond milk, coconut flakes and a banana), I was disappointed. You see, the package is sweetened with stevia so it brings the stevia-effect. You know what I’m talking about. That feeling of tasting the product on the back of your tongue for the next 20+ minutes. Plus, most of the product seemed to rise to the top of my shake, despite mixing into a running blender slowly. For me, it didn’t work in a drink. Probably should blame the mixologist for creating a shoddy drink. That’s not to say you can only use this product in shakes. Heck no. The community over at Tone It Up have created a long list of recipes for you to try out. Granted, I’ve never once cooked or baked anything with protein powder in it. It seems like a very foreign concept to me. But these people have gone all out. You’ll have to do a lot of digging for vegan-friendly recipes. Even the recipe card I received with my package wasn’t vegan. It was a pancake recipe that clearly called for egg whites. 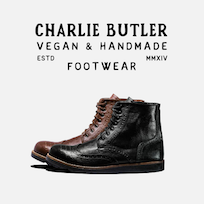 Sort of odd … But there are clearly labeled vegan recipes which you can try out with your Perfect Fit powder. The Vegan Magic Shell Chocolate Syrup certainly looks tempting. If you want to know more about Perfect Fit, check out their website at PerfectFit.com. You’ll also find a 15% off coupon, faqs and links to all the recipes. You should try it with a frozen banana, half cup of frozen spinach, a cup of almond milk, and half an avocado, and a few cubes of ice or some more almond milk but just enough so it’s still think and creamy. This is the recipe i got with my first sample and I love it so much. I’m not surprised it tasted bad with the mixture you used. And yea it bothers me too that their signature recipe is the protein pancake with egg whites… really disappointing because people love it and rely on all sorts of egg white recipes with the protein. I do own their vegan nutrition plan and it includes a vegan version of their pancake, which is just alright, not anything I go crazy over. I’m guessing the creative effort was put into the egg white pancake so the vegan one isn’t as great, of course.